Many customers can qualify for a purchase or a refinance loan with no appraisal required. This is a great benefit because this typically saves a consumer more than $400 in out of pocket expense, takes the risk away of getting a bad appraisal, and allows a lender to close your loan very quickly. The easiest way to qualify for an appraisal free loan is if you are currently in a FANNIE MAE, HARP, FHA or VA loan. 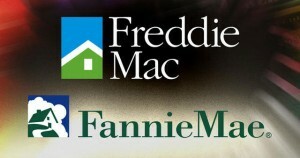 Let’s start with FANNIE MAE. FANNIE MAE offers PIWs or Property inspection waivers for both a purchase and a refinance depending on how the systems likes the strength of your file. They factor in debt to income ratios, credit score, loan to value, and also automated estimates of your home’s value. In order to find out if you qualify for no appraisal, I must run your credit and approval. We submit your application through Fannie Mae’s approval underwriting system and it tells us whether an appraisal will be needed. Please call me at 480-206-5577 to see if you qualify. If you took out a Fannie Mae or Freddie Mac Loan before May of 2009 – you will likely qualify for a HARP Loan which typically requires no appraisal and also allows you to close a loan if you are slightly upside down on your mortgage. If your current loan is backed by FANNIE MAE or FREDDIE MAC, and you want to do a rate and term refinance, I may be able to refinance your loan with no appraisal or out of pocket costs and close your loan in a week. FHA allows you to streamline your existing FHA loan to a lower rate without an appraisal. This is called a FHA streamline. In order to qualify for a no appraisal loan with FHA, you must be in a current FHA loan. As long as you have been on time with the payment and have decent credit, you should be able to qualify. FHA requires a net tangible benefit in order to complete a streamline refinance. The new loan must be lowering your payment by at least 5%, or we must be taking you from an ARM to a FIXED FHA loan within 2% of your current rate. VA allows to you to streamline your existing VA loan to a lower rate without an appraisal. This is called a VA IRRL or a VA Interest Rate Reduction Loan. In order to qualify, you must recoup any expenses to get the loan including prepaids within 3 years based on your payment savings. Recently, I have been getting through a lot of appraisal free loans for customer with good credit, decent equity, and a loan amount under 453,100. The only way to tell for sure is to run your credit and approval – the approval will sometimes accept the value and not require an appraisal. Please call me if you would like to find out if an appraisal will be required for your loan. No appraisal refinance, can you qualify?